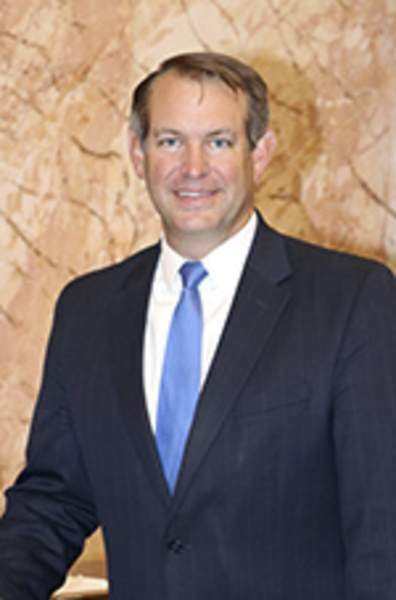 David Zent will replace retiring Allen Superior Court Judge John Surbeck. Zent, a Superior Court magistrate, was chosen in August by the county's Judicial Nominating Commission as one of three finalists to take the bench. He will serve out Surbeck's term, which expires in 2020. Gov. Eric Holcomb made the announcement Thursday. Zent, 43, graduated from the University of Dayton School of Law in 2002 and was an attorney with local firm Leonard, Hammond, Thoma & Terrill. He was an Allen County public defender and also defended clients in federal court. He was appointed magistrate in 2015 – Surbeck was one of three judges who interviewed him for the position – and was assigned to the court's misdemeanor and traffic division. “The time I've already spent on the Criminal Division bench as a magistrate gives me every reason to be excited about the future and about what I can do to make an already outstanding court even better,” Zent said. Surbeck, who handled high-level felony cases, announced in June he will retire at the end of the year. He was appointed to the bench in 1988 by former Gov. Robert Orr and was elected to the position five times. The nominating panel interviewed six candidates to replace Surbeck in August and named Zent, defense attorney Anthony Churchward and Allen Circuit Court Magistrate Steven Godfrey as finalists. Zent's is the first appointment of a new judge at Allen Superior Court since Holcomb chose Judge Andrea Trevino in March to replace Judge Dan Heath, who stepped down in February. Holcomb has one more local judge selection to make. Allen Superior Court Judge Stanley Levine also will retire Dec. 31. Allen Superior Court Magistrate Jennifer DeGroote and attorneys George Sistevaris and Andrew Williams have been selected as finalists. They interviewed for the position Oct. 1.